Preheat oven to 240°C (475°F). 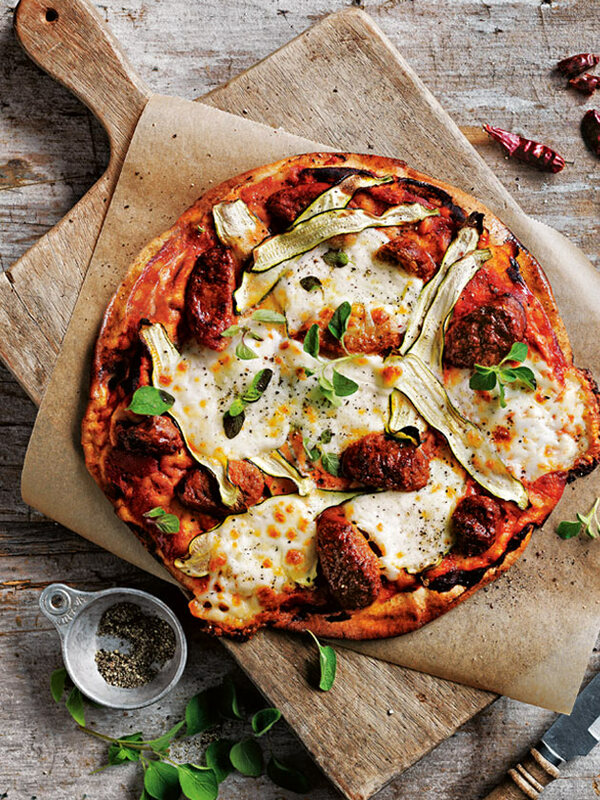 Spread each flatbread with the tomato puree and top with the zucchini, chorizo and mozzarella. Drizzle each with the oil and sprinkle with salt and pepper. Place on oven trays and cook for 8–10 minutes or until golden. Serves 4 (makes 2 pizzas). Try this: Serve your pizzas scattered with your favourite greens or herbs – we used oregano, but you could also use basil or rocket.